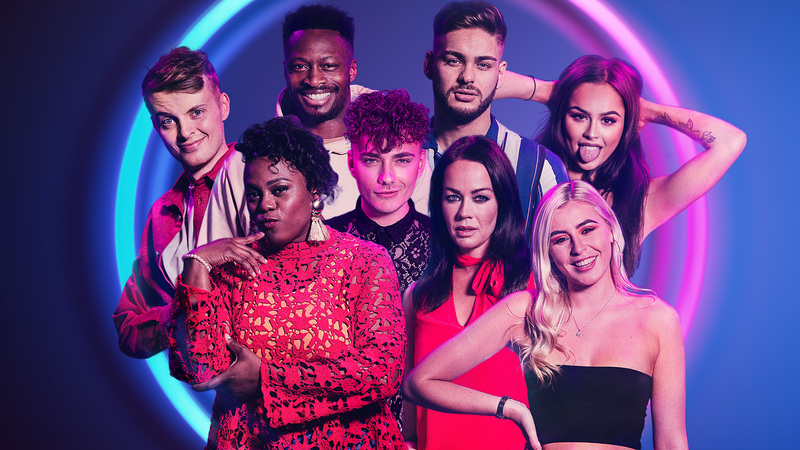 From the period of September 18th to October 18th 2018, a brand new reality show graced our televisions on Channel 4. The show spanned 21 days, in which a group of strangers move into a property in which they will form relationships, cause arguments, complete tasks, and vote to remove each other from the show. “Hey…”, I hear you say, “that’s not very original, you just described ex-Channel 4 show, Big Brother.” That’s true, but there is one key bit of information that sets The Circle aside from Big Brother or any other contemporary reality show for that matter… the contestants never meet face-to-face. The Circle is the name of the social media platform created to allow the contestants to talk to each other via speech-to-text messages, which they send to each other from separate apartments from within a refurbished London tower block. This really is Big Brother meets Catfish. Some of the contestants decided that honesty would be the best policy, like fan favourite, Dan, from London, who never once told a lie and even earned himself a reputation within The Circle as “#DirectDan’ due to his forthright and somewhat confrontational brutal honesty. Others told half-truths, like the outrageously dramatic and highly energetic, Freddie, from Essex, who decided he would be himself, but with a small alteration: he would conceal his identity as a gay man. Freddie decided to “play it straight” in attempt to avoid being associated with stereotypes. And of course, some decide to leave the honesty at the front door, like Kate… or should I say, Alex, a man from London, who decided to create a fictional persona that matched what he believed to be the “ultimate popular person” and used his girlfriend’s photos to catfish the show’s other contestants. On paper, a show that monitors strangers as they sit alone in their rooms and talk to a television doesn’t sound that intriguing, but you’d be surprised. The show has a lot to say about how we form relationships and how friendship can either be based on a lie, or blossom from natural interactions. Freddie, for example, spoke to the interview team before he went in claiming that he was going to pretend to be a straight man to avoid clichés such as the “gay best friend”, however, his relationship with Sian, a twenty-year old model, naturally seemed to form into a “gay best friend” dynamic, despite Freddie never revealing to Sian that he was, in fact, gay. On the other hand, some of the girls warmed to an elderly man who joined The Circle and referred to him as their grandad. Christopher, a sixty-five-year-old retired antiques dealer, captured their hearts and all warmed to him like he was a genuine family member. The problem unfortunately, was that Christopher didn’t exist, and was actually a twenty-three-year-old South Walian girl, called Sinead. This was a fantastic example of how an online relationship can exist with genuine feelings of trust coming from one side, and dishonesty and deceit coming from another. This kind of exposure of the dangers of online relationships has not been tackled so successfully since MTV’s Catfish. The Circle is possibly one of the realest reality shows out there. There is something about the feeling of being alone that brings out the true nature of someone’s personality. Of course, they were never truly alone, with thousands of people watching across Britain via their televisions, but when a person is as isolated as the contestants of The Circle were, you can see a difference in their behaviour in comparison to how we see them around people. There was often a disconnect between what contestants would send to each other, and what they would say to themselves or the viewers at home, about how they really felt about the situation. The feeling of isolation had caused the contestants to share with us an inner-monologue that presented their true thoughts in a way that no other reality show out there currently does. There was no need to pretend to like Ryan to the audience when Ryan has no idea what you are saying about him. And in almost all cases, this behaviour was identifiable. Not all cases though. #DirectDan told it like it was.